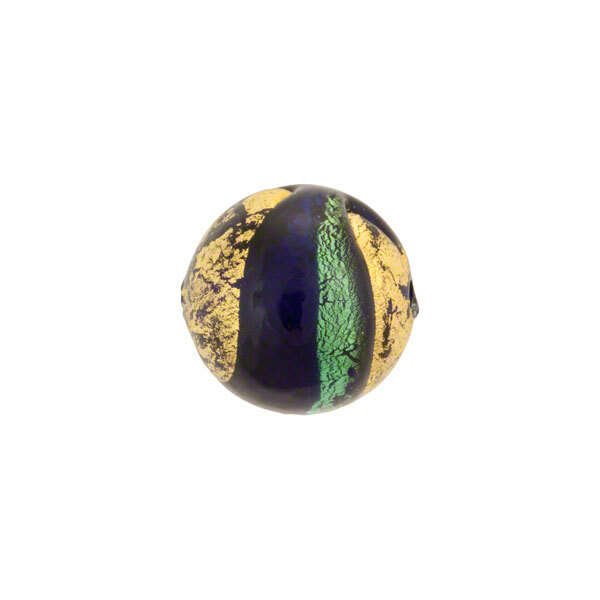 Authentic Venetian Bead in a lovely 25mm round with a 1mm hole which runs through the center featuring Murano glass in swirls with gold foil. We call this our Sole line because of the gold which is sometimes exterior and sometimes interior looks like the sun peeking through the clouds. Great for earrings. 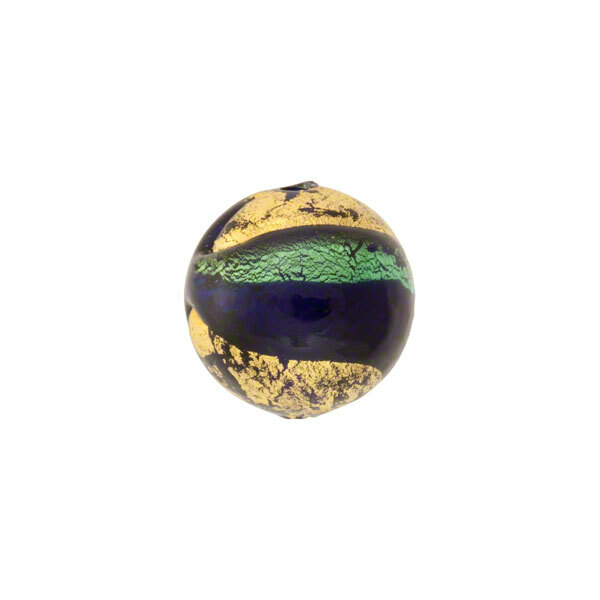 The exterior gold is subject to wear and tear over time and exposure to body oils and lotions, this is not a defect, simply part of the bead. The colors in this one are a combination of shades of Aqua and Cobalt Blue and 24kt gold foil.